When deciding to travel to anywhere, one of the first questions coming to your mind is when is the best time to pay a visit to the target destination. So, today we gladly introduce you the weather on Phu Quoc island and recommend to you the best time to visit this beautiful island for you not being shocked and disappointed when visiting the Pearl island. 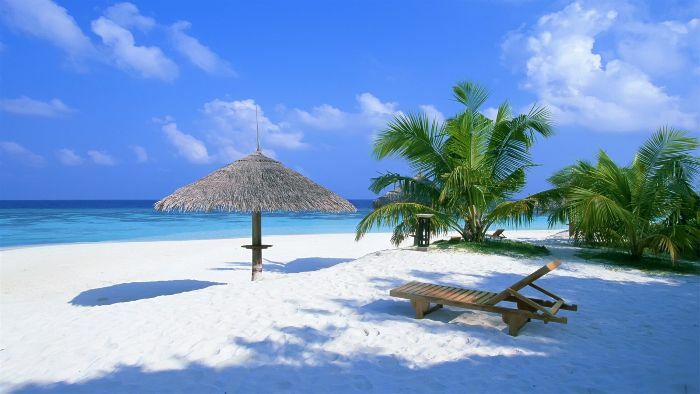 Phu Quoc island weather changes throughout the year, so let's check carefully before booking your flight, it is very important for a relaxing tropical vacation in the south of Vietnam. 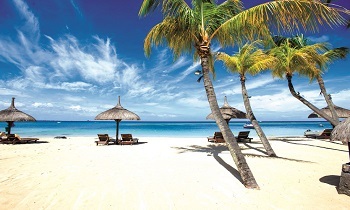 The rains focus from July to September while sunny days are very popular between November and May. In spite of raining or sunny, visitors can enjoy warm temperatures on the island all the time thanks to the monsoon tropical climate. April is the first month of the rainy season in Phu Quoc when the heavy rains often come in the afternoon. The rainfall has increased significantly and the humidity is higher this month. The temperature of April varies from 25 to 33 Celsius degree, the number of rainy days also increases. Because Phu Quoc island has passed the dry season with the type of hot and dry weather, the rains come and cool down the heat as well as make the air cooler and more comfortable, the forests and landscape followingly become lusher and greener. 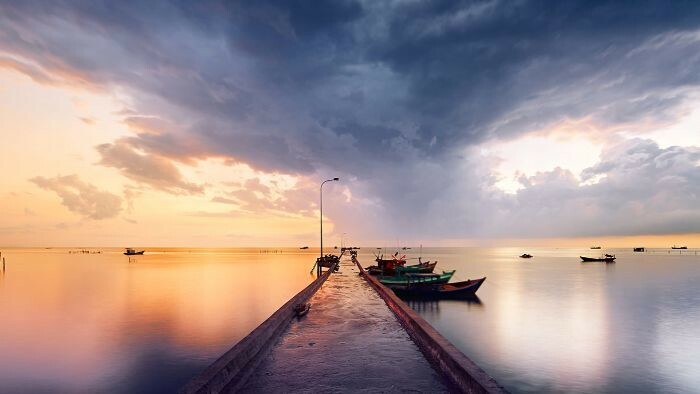 Coming to Phu Quoc in April, you can have the chance to participate in the festival of Nam Hai on March 21th of the lunar month, this is the festival of local fishermen to pray for the rain, calm sea to head out the sea and catch more fish. July is the peak of the rainy season, the rainfall in Phu Quoc during this month is extremely high with the number of rainy days reaches over 22 days. As a result, the temperature of Phu Quoc this time is cool with the average temperature is only 25-30 Celsius degree, and humidity reaches to 85%. 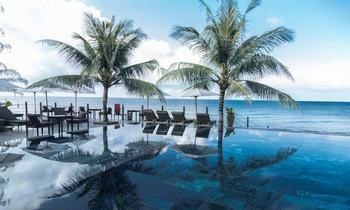 If you come to Phu Quoc in July, it is a better choice to spend your time to rest in the luxury resorts and enjoy the excellent services as well as enjoy the fresh delicious seafood. 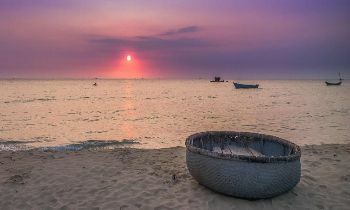 This is the beginning month of the dry season in Phu Quoc. 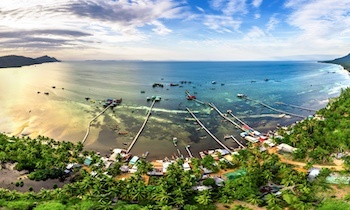 Phu Quoc island district steps into the dry season at the same time with other regions of southern Vietnam. Coming to November, the rainfall decreases suddenly, the rainy days concentrate on the first days of the month. The daytime temperature also becomes hotter around 24-31 Celsius degree, and the humidity significantly drops to around 76%. 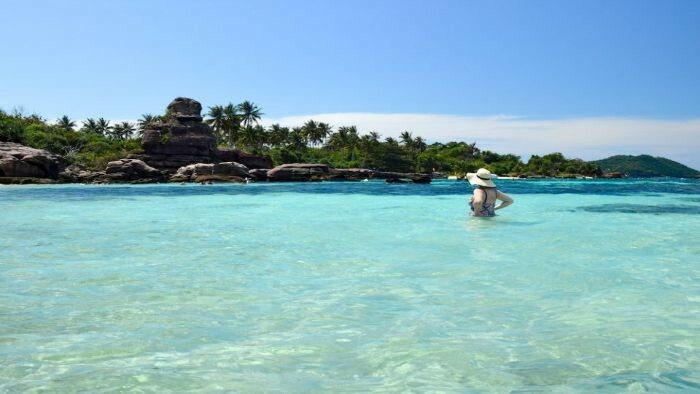 Because this is the first month of the dry season, the weather in Phu Quoc is extremely beautiful, not too hot and wet, which is a wonderful time to come and participate in the interesting activities such as swimming, snorkeling, etc. February is among the peak tourist season in Phu Quoc, the number of domestic and international tourists visiting Phu Quoc is the crowdest of the year due to the perfect weather. In February, the temperature is not too high varying from 25-28 Celsius degree, it is sunny all day with the small rainfall. All create pleasant weather. February is the time for harvesting peppers in Phu Quoc, so you can visit pepper gardens to see locals picking the pepper and buy some for your family and friends. February is also the festival time in Phu Quoc, there are several festivals held during this time such as Dinh Ba Ong Lang Phu Quoc festival on the 18th and 19th of lunar month annually, especially Tet festival-the biggest and most important festival of Vietnamese. Pleasant weather, poetic scenery, delicious food, and friendly people are what make February the best time to visit Phu Quoc. 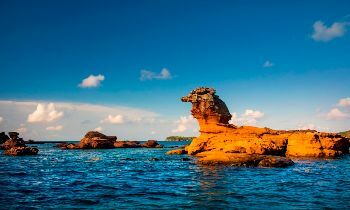 The best time to go to Phu Quoc Island is during the dry season (November until March) when it is sunny and the temperature varies from 25 and 28 °C. 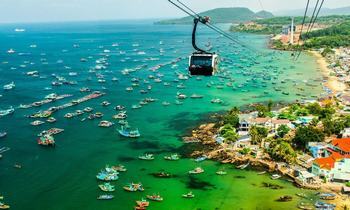 Tourists visiting Phu Quoc this time can have the chance to immerse themselves in the sunshine. 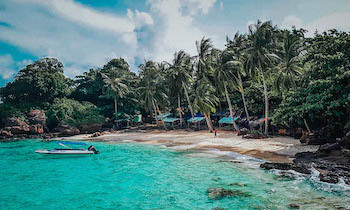 Tourists can have great days in the tropical sea heaven at pristine beaches like Long Beach and Ong Lang Beach and do a variety of activities such as swimming, diving, and snorkeling. Phu Quoc National Park and Suoi Tranh Waterfall are ideal for picnics, jungle-trekking, camping, and bird watching. 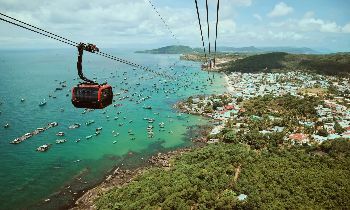 For those who are the travel addicts as well as first time travelers, this information might be very useful for you to take a reasonable time to visit Phu Quoc. 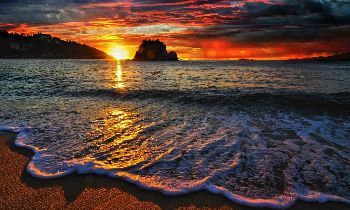 Let’s choose a time to have great days in this beautiful tropical sea heaven. If you need more detail about the weather of Phu Quoc, don’t hesitate to contact us. Thank you!